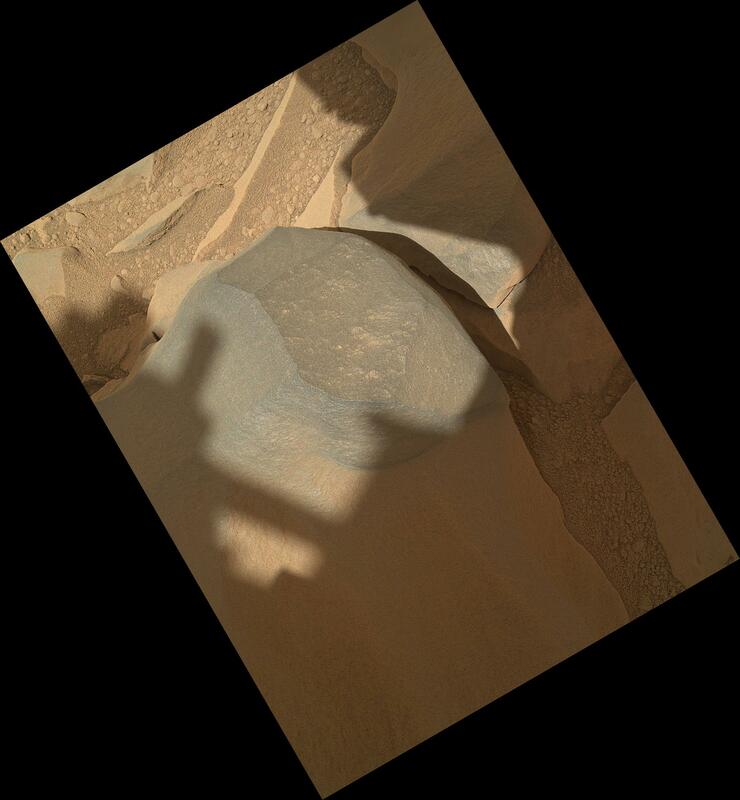 MAHLI took the component images for this merged-focus view, plus closer-up images of Bathurst Inlet, during Curiosity's 54th Martian day, or sol (Sept. 30, 2012). 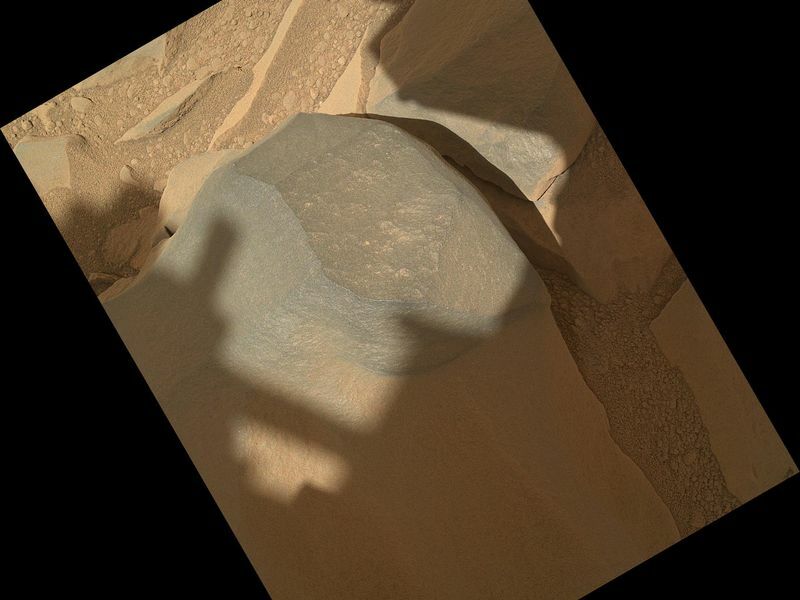 The instrument's principal investigator had invited Curiosity's science team to "MAHLI it up!" in the selection of Sol 54 targets for inspection with MAHLI and with the other instrument at the end of Curiosity's arm, the Alpha Particle X-Ray Spectrometer. A merged-focus MAHLI view from closer to the rock, providing even finer resolution (see PIA14763). 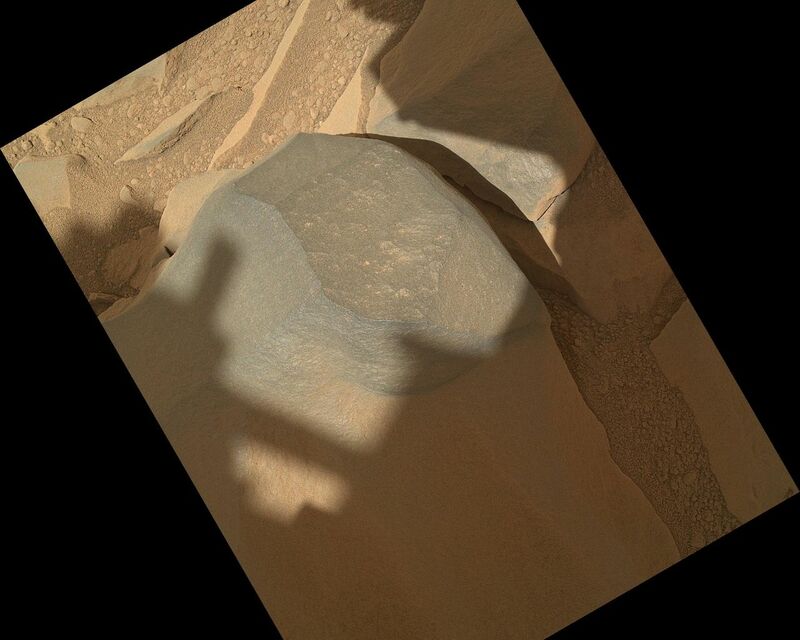 The "Bathurst Inlet" rock is dark gray and appears to be so fine-grained that MAHLI cannot resolve grains or crystals in it. This means that the grains or crystals, if there are any at all, are smaller than about 80 microns in size. 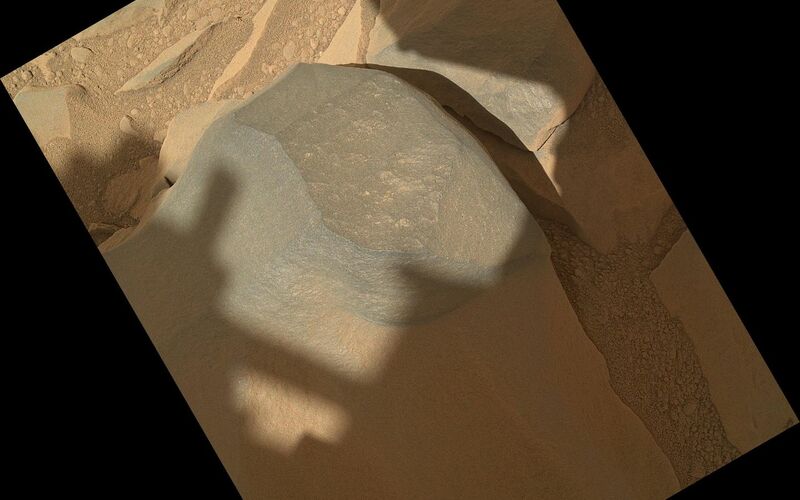 Some windblown sand-sized grains or dust aggregates have accumulated on the surface of the rock but this surface is clean compared to, for example, the pebbly substrate below the rock (upper left and lower right in this context image). MAHLI can do focus merging onboard. The full-frame versions of the eight separate images that were combined into this view were not even returned to Earth -- just the thumbnail versions. Merging the images onboard reduces the volume of data that needs to be downlinked to Earth.